Oh henry james, I just want to go home.. The Wings of The Dove is tortuous.. I’m still going but came across some really well put literature quotes I thought I’d share. Mark Twain (1835-1910) U.S. humorist, writer, and lecturer. oh and how I can relate to this one. Hemingway I’ll always be your groupie. A friend of mine, knowing my literature quest sent me some of these and I thought I’d share. 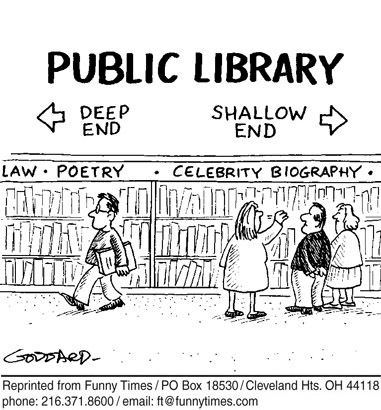 Gave me a giggle amid all the seriousness that comes with the being nose deep in the classics. So ‘To the Lighthouse’ will sit on the bedside table for a while. I feel I need to lock myself up in a quiet room to read it. Virginia’s prose requires complete and utter concentration. I just don’t have that right now. It’s timing. I promise to come back to it. 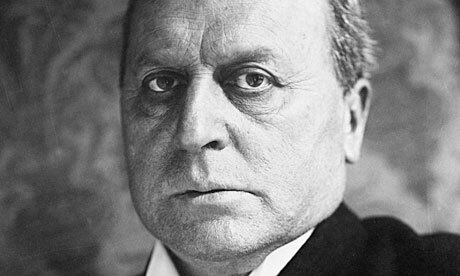 So with Virginia on hold indefinitely I decided to give Henry James another attempt to woo me. He did so did so badly with Portrait of a Lady, I thought I’d give him a chance for redemption. I’m a sucker like that. I’ ve tried to read Cold Mountain by Charles Fraizer 15 times. Every time I would get stuck just a third of the way in. I simply lose the will to the turn the page. I’m a bit like that with men. Every cad has his chance with me and sadly Henry is turning into one of them with his offering Wings of the Dove. Look at those eyes, they feel as though they could look right inside your soul. Almost creepy. Shame his writing isn’t doing that. In fact I’m finding I’m Just Not Into Him. Sorry Henry. I tried. I’ll keep reading because it’s only fair but rest assured this time it’s definitely you, not me. To be honest, I am. I’m trying to appreciate, understand and read To The Lighthouse and instead I find myself getting so annoyed by her. I find myself intimidated by her style. Her prose. Her tendency to jump from one topic to another. I’m not quite ready to concede defeat but fear it may be around the corner. So in a bid to improve my enthusiasm I’ve added some of her quotes that I have always liked. I so would like to come across them soon buried in her prose to inspire me to keep on reading..
Sigh…Such great lines from such a great woman, now if only I can learn to love her book..
It’s been a few days since I put down Catcher In the Rye and I’m still thinking about it. It’s an addictive read told in the voice of a sometimes angry and nearly always lost and lazy teenager Holden Caulfield. He is full of purpose yet hopeless at the same time. At every sentence you feel you are on the edge of finding out what he has been driven to do and then it evades you once again. The every day hum drum detail is told differently through his judgemental and critical eyes. After reading clockwork orange it feels as though I am almost regressing back to what it felt like to be teenager, dying for freedom but having no idea what to do with it. I finished it hoping there would be some kind of a sequel, books that end without a conclusion drive me crazy. I always wonder about what happens after and which path the character heads down next. I’d literally just finished the last page and was looking for some space when I went and got out a film from the DVD store. A movie version of a book I had read a while ago by Lionel Shriver. The film, We Need To Talk About Kevin, featured Tilda Swinton and was about a mother and her paranoid fear that her son was capable of something terrible. And he does. He goes on to commit an inconceivable atrocity. The film weaves chaotically between past and present, delving into the pain and suffering the mother goes through as before and after, making it a gripping and heart breaking movie. I had just put down The Catcher in the Rye only to once again be thrown back in the sea of teen angst and to see just what some teenagers who are lost and destructive are capable of. No wonder Clockwork Orange and Catcher in the Rye are on the top 100 list. They deal with themes that even as adults we still struggle with. How to find your niche in the world and the cost which comes at losing and gaining parts of yourself along the way. Sometimes it leads to madness, sometimes to success, but all of it can be dictated by one turn or fork in the road. Every book is relevant. Say what you will about the author, the character or even the topic but you can’t deny it has its place. But every now and again you pick up one which is like reading a diary. Either your own or someone you know’s, their words, thoughts and expressions in print for everyone to read. Something so relevant you would swear it had been written for your time, right then and there. 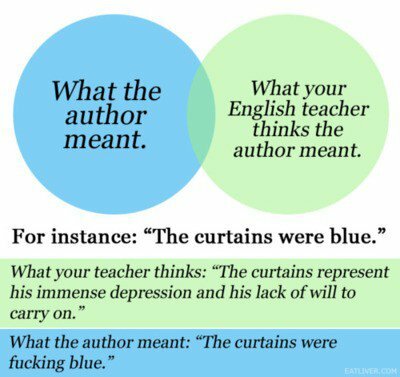 Most people feel this way about 1983 or Animal Farm. 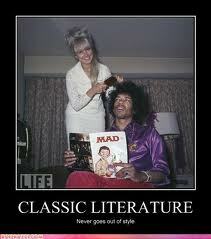 I discovered I felt this way when I first picked up A Clockwork Orange late last week. I read it in three days. I felt I was there walking with Alex most of the way. That was my friend who was on the train that he and his gang messed with and took her money, my flatmate was the guy who had his face and library book ruined and destroyed by their gang on the way home. I was the girl who was so terrified of them robbing the house that she didn’t even open her door to them when they asked for help. For anyone who hasn’t read it, all I can say is read it. Once read, it stays with you for days. Perhaps because I lived in London for three years and saw and heard these gangs every day on the tube and in the street, perhaps because I saw and experienced gang violence once or twice in that time or perhaps because I knew some of these kids in school, or for whatever reason I became hooked on this book. Written in a hybrid of english teen/Russian slang it’s almost impossible to decipher when you read the first few lines. But before long you’re swimming in their gutter language and relishing this unforgiving, brutal glimpse into their lives. It’s like watching a car crash in slow motion and there is nothing you can do to stop it. I couldn’t tear myself away from reading when Alex and his droogs ruled the streets with their brutality, or when Alex was being transformed and shaped into a model citizen by the government and or even when the final result caused more chaos then good. I. just. could. not. put. it. down. It’s a read which is heartbreakingly real, almost tender in some parts and in others, downright stomach turning. It is about lives on the precipice and the big question is if they’ll jump or if someone else will be the ones to push them over. How the author came up with the title is a bit of a mystery to me but what is clear to me is, firstly, orange is the new black and secondly its a book for every generation. It’s been far too long between posts and I hang my head in shame. However, excuses aside,I have still been working my way through the classics. The latest to come my way is E.M. Forster’s A Room With a View, the tale of Lucy Honeychurch, a young english woman’s travels through Italy. It marks her passage from an awkward girl, to a woman with a mind of her own. But even in her most expressive thoughts and words as she meets two men who represent two very different things to her, there is an overwhelming feeling of repression throughout the book. Restraint of heart, restraint of sentiment and above all repressed sexuality. There is so little done between Lucy and these men that it almost drives you mad. It is about all that is unsaid and left hanging in the air. Her Italian trip is was meant to be about her coming of age, but instead she is whisked to and fro by her chaperone and barely able to consider her own mind, leading her to an engagement with an insufferable man. It took me a long time to finish this book, mainly because it makes you feel so very sad. Sad that this girl’s escape and growth, must only be achieved through engagement and marriage. Not through her own personal journey. It is Edwardian england after all, but a modern girl can still hope that even a character in that time would have the gumption to stay true to her own happiness instead of what she envisions is expected of her. The book finally blossoms when she returns home and is sent a curve ball by fate. 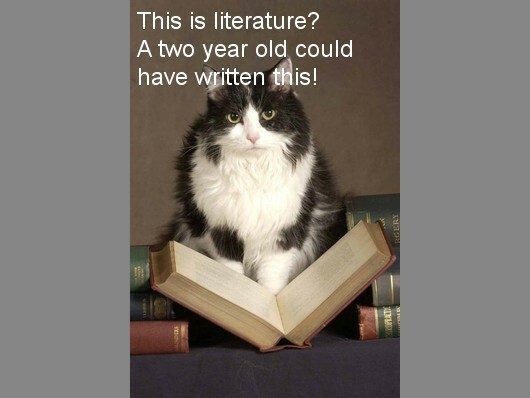 It rewards the reader with why such a book is on the top 100 list. Lucy’s decisions, dreams and thoughts are all turned on its head as she considers her future with a man she once thought would be ideal. George’s declaration in A Room With a View is enough to make any girl blush and weak at the knees in fact, he makes Darcy from Pride and Prejudice look like a bit of a buffoon. I swooned and was swept up by the novel as it galloped to its climax which even to the very last pages leaves you unsure as to how this girl will ever get her happiness or her man for that fact. I was glad I preserved with it, as some of the prose was among the most romantic and poetic I have read in a long time. 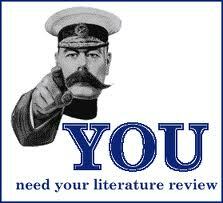 The yearning and repression such added fuel to the fire and is enough to catch any reader’s imagination. With a title like ‘A Room With a View’ most can be forgiven for thinking it’s all about the outside and how it counts. But really it’s about the view from within. 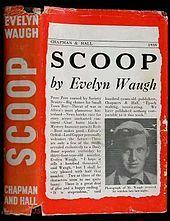 For a novel set in the 1930’s, Evelyn Waugh’s satire, Scoop, still has deadly aim when it comes to firing at the heart of the at times farsical, fraudulent and sensationalist nature of the newspaper industry and journalistic profession. The entire time while I read the book, which is loosely based on Waugh’s stint as a war correspondent for the London Daily Mail, I couldn’t help but draw comparisons between it and the current situation the News of the World and News ltd has found itself in. The scheming, the sensationalism and the attempts to retrieve or drum up news at any cost has revealed just how fall the standards of journalism have fallen, prompting the current Leveson Inquiry into media ethics and journalism practices. With Waugh’s Scoop, you can’t help but wonder if standards were already pretty low to begin with. He delves into the crumbling credibility of journalism , pulling out what really is at the core of a journalist’s world. Basically, the only concern of a journalists is to file a story that will meet with the approval of their bosses at the newspaper. Their goal is to keep one step ahead of the competition at any cost and will go to any length for a ‘scoop.’ He seems to poke fun at the profession of journalism, implying it is mainly characterised by a disinterested search for the truth. Truth is what they decide it is, not that which can be found. Call me a cynic, but I used to be a journalist and if I didn’t know it was on the classic list, I would have assumed it was written recently. It is still relevant, entertaining and so thoroughly funny that you can’t help but laugh out loud at some of the situations with unknowing, inexperienced principal character, William Boot finds himself in. His depiction of the characters are so accurate and deft that I challenge you not to come across them in any news room across the world today. Waugh who has never revealed who Boot is based on, used his experiences covering the war between Abyssinia (now Ethiopia) and Italy in 1935 as inspiration for the book, observing closely the activities of his fellow journalists and the length of skullduggery they would go to just to get a pat on the head from the editors, even it was at sacrifice of ethics, truth and welfare of the nation they were reporting from. This is a book every newspaper reader/news watcher and aspiring writer/journalist should read. People now have more say over what should be in the news today, , Waugh makes us remember just because a headline screams it as news, it doesn’t always make it so. The real beast: For those who are keen to read more, check out the interview between Tina Brown (Founder of the online news source, the Daily Beast, inspired by the fictional name sake in Scoop). She discusses the influence of Scoop and the infamous John Boot in the Guardian . Will the real John Boots please stand up: If you are keen to get insight into some of the real life models the characters were based on, read the below article on W. F. Deedes who has spent a career dogged by claims he is the real William Boot. With it being Anzac day and all thoughts turning to the diggers lost and diggers serving, I thought it would be appropriate to include a few of my favourite quotes which reflect on war and it’s impact. I couldn’t resist including some of my other favourite quotes on the subject. Reminds you just how evocative and powerful the written word can be in any era. “War may sometimes be a necessary evil. But no matter how necessary, it is always an evil, never a good. We will not learn how to live together in peace by killing each other’s children.’ Jimmy Carter. Fitting words to end this Anzac Day and my journey trying to finish a book about a journalist reporting on a foreign war in Evelyn Waugh’s Scoop.